Nothing says Christmas quite like a steaming cup of mulled wine or warm cider as you’re wandering around a Christmas market wrapped up like an Eskimo in your hat, scarf and mittens. The sweet, spiced red wine hits the spot perfectly when December arrives and everything is covered in a layer of frost. On the other hand, festive drinks don’t always have to be warm, and sometimes an ice-cold glass of Prosecco straight from the fridge is the best way to celebrate with your loved ones at Christmas time. Here’s a list of our five favorite festive drinks to get you in the mood for the party season. Make gallons of this sweet, warming wine with notes of citrus and cinnamon to defrost your fingers after those wintry afternoon walks. Enjoy a white Christmas and sip on our homemade eggnog topped with fluffy whipped cream, the perfect accompaniment to all those Christmas cookies. Don’t just restrict yourself to cranberry sauce at Christmas time, but enjoy some cranberry flavored drinks too. 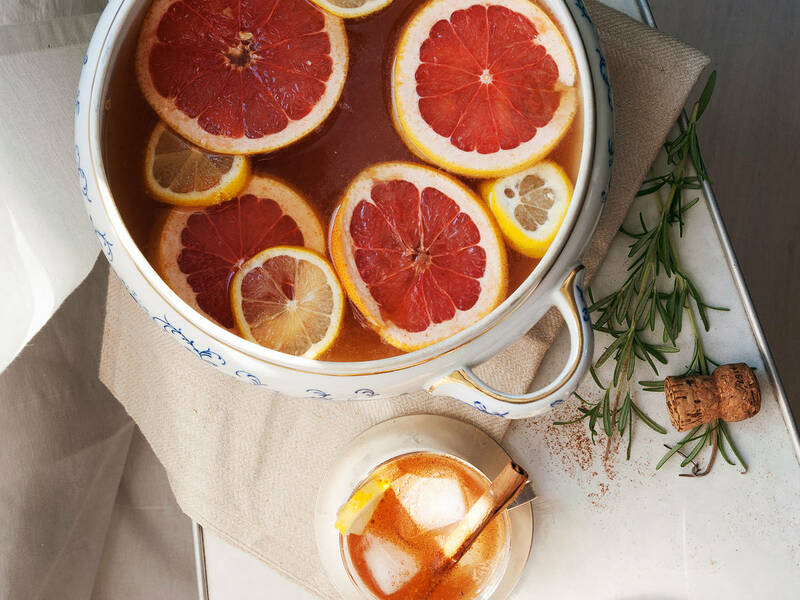 This spiced cider is the perfect drink to enjoy in front of the fire with a film. Beer isn’t just a one trick pony that needs to be enjoyed by itself, but is a great addition to punches and cocktails. Increase the festive-factor with some sweet raspberry syrup and frozen berries. You can’t go wrong with gin, lemon and sparkling wine! The perfect creation for a festive cocktail party!